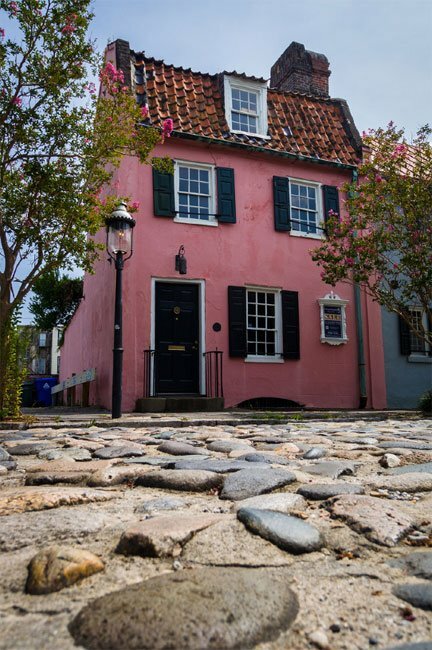 This small building facing the cobblestones of Chalmers Street in historic Charleston is commonly referred to as the Pink House. Built around 1712, it is believed to be the oldest remaining structure in the city. 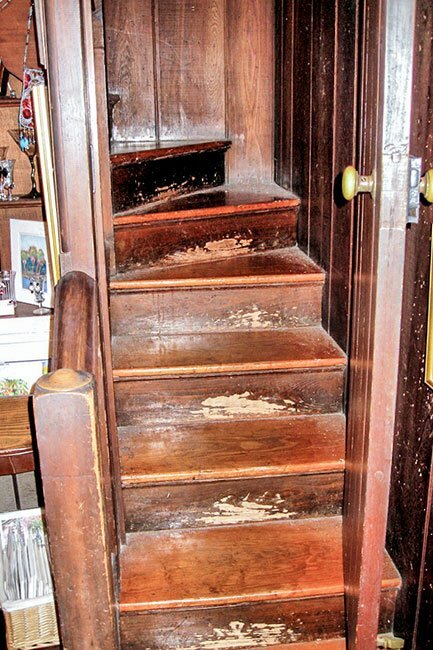 Though called a house, the building originally served as a tavern and is rumored to have housed a brothel on the top floor. The tiny building is unusual in its architecture, possessing low ceilings and having only one room on each of its three floors. 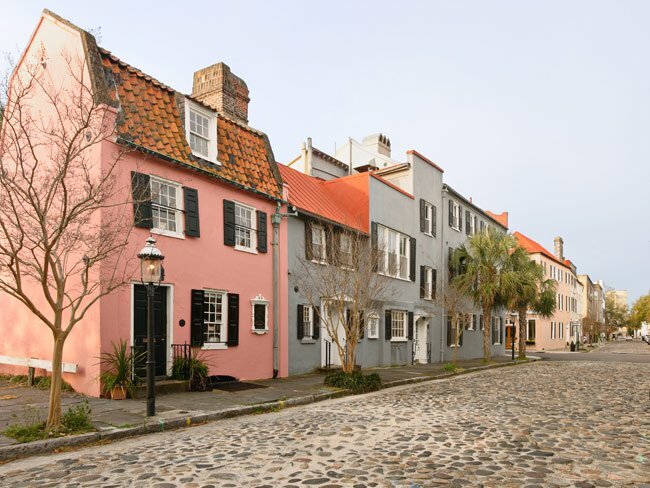 Though this district of Charleston is fashionable today, in the eighteenth century it was a disreputable area where sailors and merchants strolled the streets in search of a rowdy night. The building comes by its pinkish tone naturally, as the Bermuda stone from which it was built is comprised of coral limestone which lends it its salmon hue. The house has since been painted, yet the current color preserves its character. 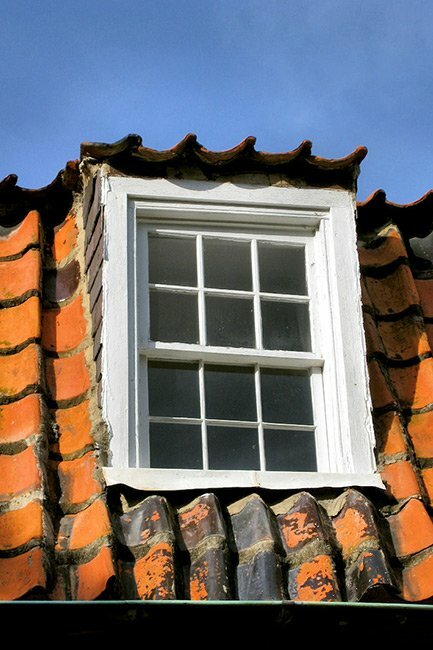 The roof is made of pantiles – similar to those on the Powder Magazine – a feature that points to the city’s earliest architecture. 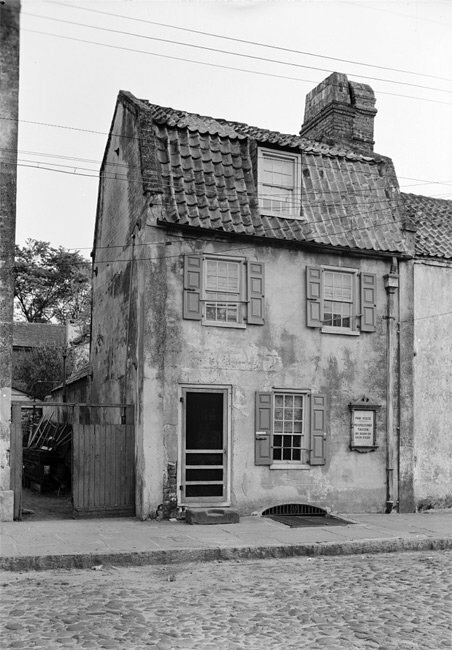 Its use as a tavern lasted through the 1700s until the neighborhood was revitalized as a mostly residential area in 1800. 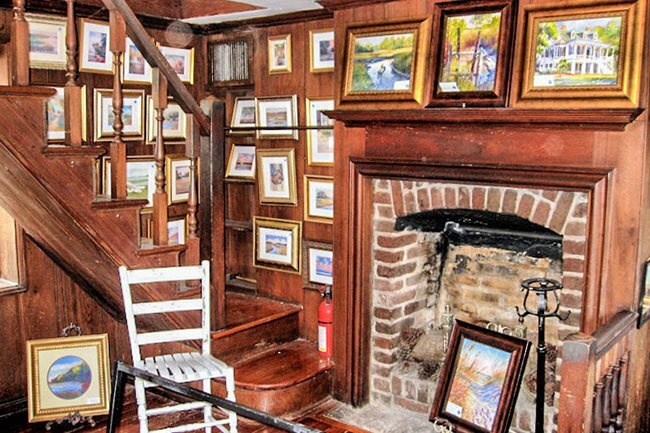 Since then the house has operated as a publishing house, a law office, and the studio of noted Charleston artist Alice Ravenel Huger Smith. The building also housed an art gallery aptly named the Pink House Gallery for twenty years. (Lodge Alley) The French Quarter District is located in an area of the old walled city of Charleston where the French Huguenots once had warehouses and dwellings. Early Charleston merchants used the warehouses for their ships at the docks off East Bay Street. One of the oldest streets in Charleston, Lodge Alley is a visual example of Charleston’s Old World ties, exemplifying the definition of an ally as a city street but not a main thoroughfare. Lodge Alley still has a seaport look. Brick warehouses of Flemish and American bond bound each side of the ten-foot wide passage. The alley is paved in Belgian blocks – a local term for a brick shaped block of granite. 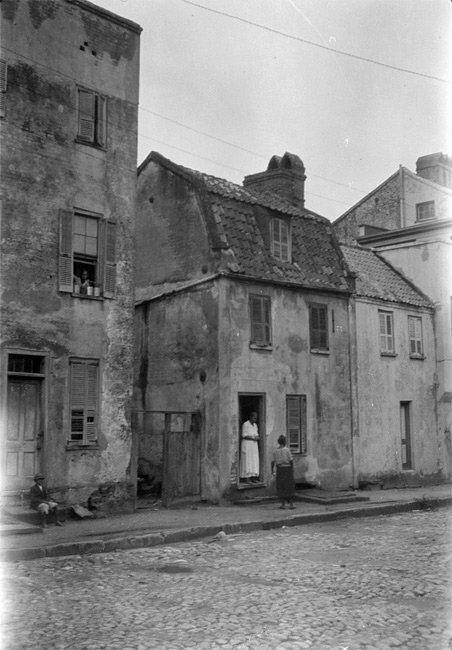 The ten-foot width of Lodge Alley compares favorably with many of Charleston’s principal streets of the early 18th century, now impossibly narrow by modern standards. Lodge Alley also illustrates Charleston’s distinction as one of the cradles of Freemasonry in America. The alley takes its name from the Masonic Lodge situated on its course about midway from East Bay Street. 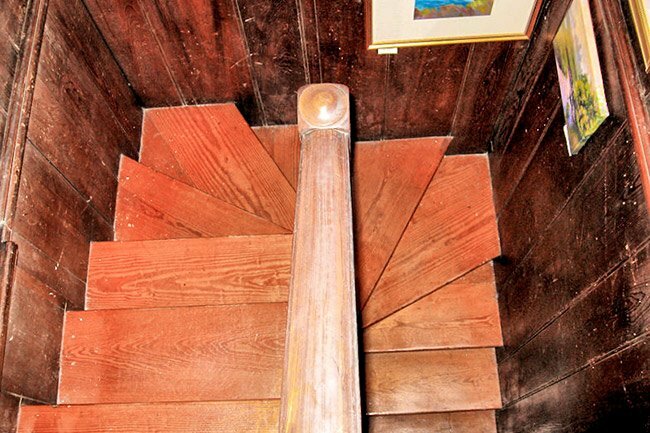 This site was acquired as early as 1773, making it one of the oldest Masonic Lodges in the country. 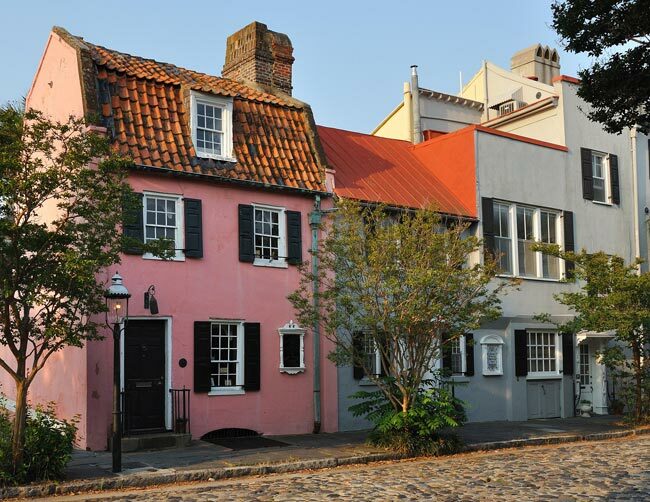 As part of the old walled city of Charleston, Lodge Alley and the French Quarter District are in an area which reflects not only three centuries of South Carolina history, but also three centuries important to the course of American history. A well kept secret never mentioned is that privateers sought crew for hire at this location. The likes of Blackbeard and Stedde Bonnet frequented this location. Just lovely … such history and stunning work. This is called “The Pink House” and is located on Chalmer St. It was a tavern and brothel upstairs.